It was time to start Googling and set in motion a chain of events that's taken me a week to get to the bottom of. As a result, I have to take down the EP from everywhere except Bandcamp for a few days, but then it will reappear and - in theory - then sound the right loudness everywhere. Once upon a time people made records, mixed them and mastered them to sound as good as possible. Everyone did things differently, so different records might sound louder than one another. It became a sought after skill to have your record sound louder than everybody else - after all, as many studies have shown, psychologically we humans tend to equate louder with being better, and that's how we're programmed. At some point - the 90s? - it started to get out of hand, and escalated to all-out war. Technology improved where you could make things sound louder and louder than before. The trade off - the dynamics (broadly the gap between the softest and the loudest sounds in a track) tended to get squished, which made everything sound loud but also have little impact. 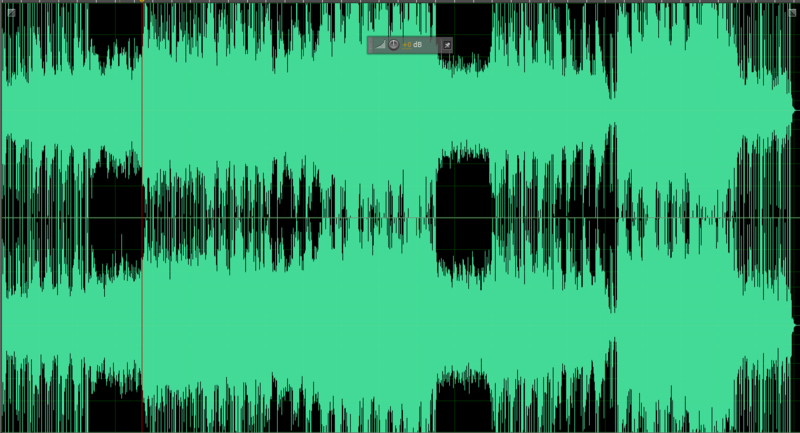 All the subtleties got buried in a wave of loud, and thus The Loudness Wars were upon us. Then about a decade ago, the music industry started to fight back. They found a new way to measure the perceived loudness of a track, and called it - wait for it - Loudness. The aim was to level the playing field - if your track was super loud, it would register as such and get turned down. Now that brief description covers a whole multitude of sins, different standards in different parts of the world applied differently across music, films, TV etc. In TV, it meant that the expectation was The X Factor sound as a loud as a fly fishing documentary... add in that old and new standards co-exist and thus the whole idea always seemed dubious to me. However, for now we need only concern ourselves with music streaming in general and in my case Spotify in particular. What Spotify (and other streaming services) do is apply loudness correction to everything they do, a process called Normalisation. What confused me though is that After School Video Club really didn't sound especially loud in the first place - carefully mastered not to overdo it, it sounds far from the loudest thing on my iPhone, but broadly in the right ballpark. Somehow Spotify was convinced There's Always Someone was a terrible sinner though, and punished it by pushing it right back til it sounded like it was playing at the neighbours house. How did this happen? ...to which I produce a hollow laugh. Yes, it's dead easy turn it all down to get low readings and make Spotify happy, but then it will sound quiet on everything else. That's the dilemma - how to make it sound appropriate on both streaming and non-streaming platforms. You can't really stop worrying about loudness, you have to keep worrying about that AND start worrying about something else, your dynamic range readings. And you have to keep both happy. But... I think... I've cracked it. There are plenty of devices that make your stuff sound louder. One of my favourites is Sonnox Oxford Inflator - it has this great secret source that as long as you don't go too mad, it makes stuff sound lovely and exciting. 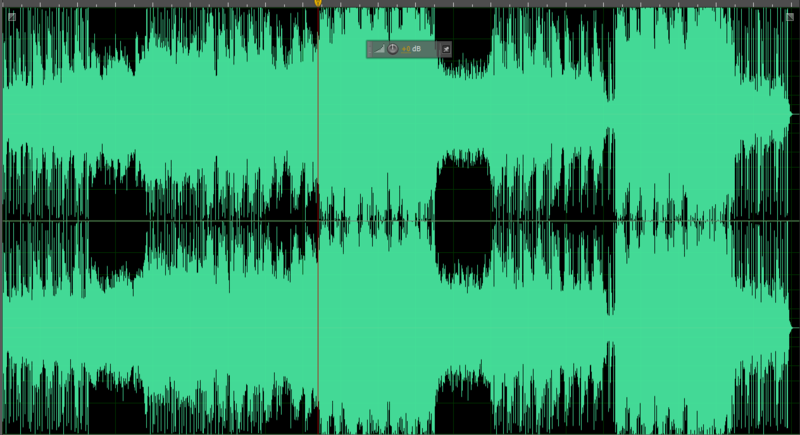 Looking at the waveform of the mix of There's Always Someone before mastering, the choruses were quite a bit louder than everything else (hey, they're choruses, they're allowed, right?) But what it meant was that Inflator was working harder in the choruses than anywhere else. It was the choruses that were sending the DR readings through the sky. Look very similar, don't they? Yet here's the magic figures - with low being high, Dyameter was reading PSR 4 PLR 7, and now it's reading PSR 8 PLR 13. The PLR figure is the one to really look for, getting it 12 or under the aim. As well as looking similar, they sound similar too. Funnily enough. So now the proof will be in the aural pudding, as it were. The old versions are gone (though at the moment Bandcamp will be the same). Will the new versions play properly on Spotify and Apple Music? Tune in next week to find out, pop pickers.